Here are the top Minnesota festivals and events to check out this year. Best events in the Minnesota area for 2018. The complete schedule of Minnesota festivals and events for 2018 to 2019. Check out our top things to do in MN for 2018. The post 2018 Minnesota festivals and top 140 events and county fairs appeared first on Festivals4fun. The post 2016 Carver County Fair greatest reasons to go to Minnesota top event appeared first on Festivals4fun. The post Your guide to the 2016 Mower County Fair in Austin appeared first on Festivals4fun. 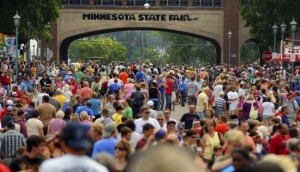 Top Minnesota festivals and events rated by desirability and interest. Highest rated available for 2018 events and festivals in Minnesota. Great job in this great state. Top Minnesota festivals and top things to do July 2018. Here are your top MN September events to check out. Featured event in September; the MN Renaissance Festival is a Renaissance fair, an interactive outdoor event which focuses on recreating the look and feel of a fictional 16th Century “England-like” fantasy kingdom. It operates during weekends from mid-August until the final week in September on a site near the Minnesota River in Shakopee, a suburb of the Twin Cities. The Minnesota Renaissance Festival began in September 1971 on a 22-acre (89,000 m2) field in Jonathan, Minnesota. More than 25,000 people visited the two weekend grand opening of the festival then named “A Celebration of Nature, Art, and Life!” It was later moved to its current site in Shakopee where it continues as one of the oldest and largest Renaissance fairs in the United States. The festival features over 700 entertainers, 275 crafters, and 120 food booths. Bloomington Winter Gun And Knife Show – held December 29, 2018 to December 30, 2018 in Bloomington on 3300 W. 98th St. Here is the monthly list of all the best and coolest Minnesota festivals and events. 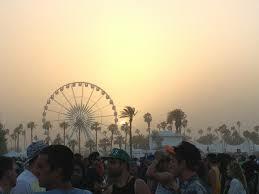 Check them out today and register your hotel or lodging in advance. Minnesota festival information: Show will be held on November 22-23-24, 2018. This is one of the large arts and crafts shows in Minnesota. With. Minnesota festival information: Join us at the third event in Minneapolis, The Downtown Minneapolis Christmas event. Shoppers for this event are comprised of women. Minnesota festival information: Start the holiday season at the beautifully-decorated Historic Courthouse in Stillwater. Enjoy live music as you shop a wide variety of. Minnesota festival information: Step Back in time to a traditional Victorian Christmas at the historic Stillwater Courthouse. Art vendors, tea room, live music, decorations,. Minnesota festival information: This show has over a 100 vendors and has an estimated attendance of 3000+ of great buyers. This 23 year show. Minnesota festival information: Join us at the Happy Holidays Vendor and Craft Event-acular. Come and be a part of this fun, unique event that. Minnesota festival information: The Craft/Business Expo will be on Saturday, November 23rd, 2018 at the Saint Michael-Albertville Middle School WeSaint Hours: 9am – 4pm. Minnesota festival information: The most intimate site transforms Brightwood Hills club house into a winter wonderland. The lights twinkle and dance over the holiday. Minnesota festival information: Show will be held on November 29-30, December 1, 2018. Minnesota festival information: This show offers the best combination of classic handmade arts, jewelry, bath and body, home decor, and gourmet food, as well. Minnesota festival information: Backus Community Center, in conjunction with the International Falls Bass Championship, is again preparing for the 4th Annual Backus Arts. Stereotypical Minnesotan traits include manners known as “Minnesota nice”, Lutheranism, a strong sense of community and shared culture, and their distinctive brand of North Central American English sprinkled with Scandinavian expressions such as uff da. Potlucks, usually with a variety of hotdishes, are popular at community functions, especially church activities.The Minnesota State Fair, advertised as The Great Minnesota Get-Together, is an icon of state culture. In a state of 5.4 million people, there were almost 1.8 million visitors to the fair in 2009, breaking the previous record set in 2001. The fair covers the variety of Minnesotan life, including fine art, science, agriculture, food preparation, 4-H displays, music, the midway, and corporate merchandising. It is known for its displays of seed art, butter sculptures of dairy princesses, the birthing barn, and the “fattest pig” competition. One can also find dozens of varieties of food on a stick, such as Pronto Pups, cheese curds, and deep-fried candy bars. On a smaller scale, many of these attractions are offered at numerous county fairs. Here are the top Minnesota festivals this March. Minneapolis Home and Garden Show – will be held at Minneapolis Convention Center in Minneapolis, MN and held on March 30, 2018 to April 8, 2018. Healthy Life Expo – will be held at Minneapolis Convention Center in Minneapolis, MN and held on March 3, 2018 to March 4, 2018. Celtic Festival – will be held at Heritage Hjemkomst Interpretive Center in Moorhead, MN and held on March 10, 2018. Women Expo – Cadybeth Shows – will be held at Rochester Mayo Civic Center in Rochester, MN and held on March 3, 2018. Duluth, Minnesota at the D.E.C.C. Minnesota festival information: Ready to start your home construction/improvement project? Then come and see the Twin Cities’ Best builders, remodelers, designers, landscapers and other. Minnesota festival information: Event will be held on April 5th, 2018. Hours: FRI 6-8PM,SA 9AM-1. Minnesota festival information: The Council’s only Midwest show, this small, established show attracts a loyal regional audience drawing from the Twin Cities and western. Minnesota festival information: Spring Arts, Craft, and Gift Show will be held on April 12, 2018. Hours: 9:00AM-3:00PM. Minnesota festival information: Expand your life experience with the hand-picked exhibitors. The Premier Expo in the Mankato Area with exhibitors ranging from intuitive readers,. Minnesota festival information: Over 150 Quality Crafters and Artisans from six states combine to make the Odin Craft Mill a destination for shoppers. Five. Minnesota festival information: Celebrating the warm weather and the end of the school year, Spring Jam is the largest student-planned, campus-wide event during spring. Cinco de Mayo West Side – Saint Paul in Saint Paul, MN is a unbelievable celebration and one of the hit Minnesota festivals and county fair events. Rochester Craft Beer Expo in Rochester, MN is a great celebration and one of the best Minnesota festivals. This Old Horse Run for the Roses in Hastings, MN is a amazing art festival and one of the hit Minnesota festivals and county fair events. In the Heart of the Beast Puppet and Mask Theatre MayDay Parade and Festival in Minneapolis, MN is a amazing culture festival and one of the hit Minnesota festivals and county fair events. Festival of Nations in Saint Paul, MN is a unbelievable celebration and one of the best Minnesota festivals. Grandpa’s Barn Boutique in Wabasha, MN is a amazing celebration and one of the hit Minnesota festivals and county fair events. Grandpa’s Barn Spring Boutique in Wabasha, MN is a amazing festival and one of the hit Minnesota festivals and county fair events. Odin Craft Mill Spring Boutique in Odin, MN is a unbelievable art festival and one of the hit Minnesota festivals and county fair events. Spring Into Summer / Eden Prairie Mall in Eden Prairie, MN is a unforgettable culture festival and one of the hit Minnesota festivals and county fair events. Just Between Friends Kids Spring Sale in White Bear Lake, MN is a unbelievable celebration and one of the best Minnesota festivals. Miller Hill Mall Craft Show and Sale in Duluth, MN is a amazing art festival and one of the hit Minnesota festivals and county fair events. Alexandria Spring Arts and Craft Show in Alexandria, MN is a great celebration and one of the best Minnesota festivals. Cinco de Mayo-West Side in Saint Paul, MN is a unforgettable food festival and one of the hit Minnesota festivals and county fair events. Elk River Spring Arts and Crafts Fair in Elk River, MN is a amazing fair and one of the hit Minnesota festivals and county fair events. Spring Extravaganza Car Show and Swap Meet in Saint Paul, MN is a unforgettable celebration and one of the best Minnesota festivals. Mother’s Day Fishing Opener/Eden Prairie Mall in Eden Prairie, MN is a unbelievable art festival and one of the hit Minnesota festivals and county fair events. Mothers Day/Fishing Opener /Crossroads Mall Saint Cloud in Saint Cloud, MN is a great fair and one of the hit Minnesota festivals and county fair events. Mothers/Fishing Opener Weekend/River Hills Mall in Mankato, MN is a unforgettable celebration and one of the best Minnesota festivals. Northtown Mall Craft Show and Sale in Blaine, MN is a unbelievable celebration and one of the hit Minnesota festivals and county fair events. Hastings Armory Spring Craft and Gift Show in Hastings, MN is a amazing music festival and one of the hit Minnesota festivals and county fair events. Mothers’ Day Craft Show in Eagan, MN is a great celebration and one of the hit Minnesota festivals and county fair events. Shepherd’s Harvest Sheep and Wool Festival in Lake Elmo, MN is a great celebration and one of the hit Minnesota festivals and county fair events. Spring Arts and Crafts Festival in Brainerd, MN is a great festival and one of the hit Minnesota festivals and county fair events. Spring Craft and Gift Show – Womens Day Out in Maple Grove, MN is a great festival and one of the hit Minnesota festivals and county fair events. Stanley’s Craft Beer and Bacon Festival in Minneapolis, MN is a unbelievable food festival and one of the hit Minnesota festivals and county fair events. Hopkins Comedy Festival in Hopkins, MN is a amazing food festival and one of the hit Minnesota festivals and county fair events. Artists of Minnesota Spring Show in Duluth, MN is a great food festival and one of the hit Minnesota festivals and county fair events. NEMAA Art-A-Whirl in Minneapolis, MN is a unforgettable music festival and one of the hit Minnesota festivals and county fair events. Arts in the Park in Eden Prairie, MN is a great celebration and one of the best Minnesota festivals. Gluten-Free Food Allergy Fest in Minneapolis, MN is a unforgettable festival and one of the hit Minnesota festivals and county fair events. Hopkins Main Street Day in Hopkins, MN is a unforgettable celebration and one of the hit Minnesota festivals and county fair events. MCBA MSP ComiCon in Saint Paul, MN is a unbelievable art festival and one of the hit Minnesota festivals and county fair events. MSP Comicon 2018 in Saint Paul, MN is a unbelievable art festival and one of the hit Minnesota festivals and county fair events. Spring Fling in Rochester, MN is a unbelievable culture festival and one of the hit Minnesota festivals and county fair events. ArtStart EcoArts Fest in Saint Paul, MN is a great food festival and one of the hit Minnesota festivals and county fair events. Members’ Salon Show in Wayzata, MN is a unforgettable celebration and one of the best Minnesota festivals. Harmony Park Revival Music Festival in Harmony Park, MN is a unbelievable culture festival and one of the hit Minnesota festivals and county fair events. Forest Lake American Legion Spring Craft and Gift Show in Forest Lake, MN is a amazing celebration and one of the best Minnesota festivals. Memory Lanes Block Party in Minneapolis, MN is a unforgettable celebration and one of the best Minnesota festivals. Garrison Art Show in Garrison, MN is a unforgettable music festival and one of the hit Minnesota festivals and county fair events. GypsyDreams Stop and Shop in Saint Paul, MN is a unforgettable celebration and one of the best Minnesota festivals. May Jubilee in North Saint Paul, MN is a unforgettable fair and one of the hit Minnesota festivals and county fair events. Minneapolis Beer Fest in Saint Louis Park, MN is a amazing food festival and one of the hit Minnesota festivals and county fair events. Soundset in Saint Paul, MN is a great food festival and one of the hit Minnesota festivals and county fair events. Washington Street Arts Festival in Lake City, MN is a amazing art festival and one of the hit Minnesota festivals and county fair events. Midwest Lindy Fest in Saint Paul, MN is a unforgettable food festival and one of the hit Minnesota festivals and county fair events. Saint Paul Festival of Nations in Saint Paul, MN is a unbelievable music festival and one of the hit Minnesota festivals and county fair events. The top Minnesota festivals and top things to do this June. Edina Art Fair in Minneapolis, MN is a great festival and one of the hit Minnesota festivals and county fair events. Minnesota Homegrown Kickoff in Richmond, MN is a unbelievable fair and one of the hit Minnesota festivals and county fair events. Pine Island Cheese Festival in Pine Island, MN is a unbelievable food festival and one of the hit Minnesota festivals and county fair events. Saint Paul Great American Show in Saint Paul, MN is a great festival and one of the hit Minnesota festivals and county fair events. Street Faire at the Lakes in Detroit Lakes, MN is a great music festival and one of the hit Minnesota festivals and county fair events. Buffalo Days in Luverne, MN is a amazing festival and one of the hit Minnesota festivals and county fair events. Central MN Kids Day in Saint Cloud, MN is a great celebration and one of the hit Minnesota festivals and county fair events. Cherry Car Show in Pequot Lakes, MN is a great culture festival and one of the hit Minnesota festivals and county fair events. Embarrass National Sauna Day in Embarrass, MN is a great culture festival and one of the hit Minnesota festivals and county fair events. Rhubarb Festival in Lanesboro, MN is a unbelievable art festival and one of the hit Minnesota festivals and county fair events. Saint Anthony Park Arts Festival in Saint Paul, MN is a unforgettable celebration and one of the hit Minnesota festivals and county fair events. Willie Walleye Day in Baudette, MN is a amazing culture festival and one of the hit Minnesota festivals and county fair events. Grand Old Day in Saint Paul, MN is a amazing culture festival and one of the hit Minnesota festivals and county fair events. Kick’n Up Kountry Music Festival in Karlstad, MN is a unbelievable culture festival and one of the hit Minnesota festivals and county fair events. Earthrhythms Music and Arts Festival in Mahnomen, MN is a unforgettable celebration and one of the best Minnesota festivals. Father’s Day Gift Show / Eden Prairie in Eden Prairie, MN is a amazing celebration and one of the hit Minnesota festivals and county fair events. Good Neighbor Days in Hugo, MN is a unforgettable art festival and one of the hit Minnesota festivals and county fair events. Minnesota Quilters Quilt Show and Conference in Duluth, MN is a unforgettable music festival and one of the hit Minnesota festivals and county fair events. Wizard of Oz Festival in Grand Rapids, MN is a amazing festival and one of the hit Minnesota festivals and county fair events. Father Hennepin Festival in Champlin, MN is a amazing art festival and one of the hit Minnesota festivals and county fair events. Fergus Falls Summerfest in Fergus Falls, MN is a amazing celebration and one of the hit Minnesota festivals and county fair events. Spring Art Expo in Cook, MN is a unforgettable fair and one of the hit Minnesota festivals and county fair events. Timber Days in Cook, MN is a unforgettable festival and one of the hit Minnesota festivals and county fair events. Windom Riverfest in Windom, MN is a unbelievable fair and one of the hit Minnesota festivals and county fair events. Art on the Lake in Excelsior, MN is a unbelievable fair and one of the hit Minnesota festivals and county fair events. Artisan Festival in Milaca, MN is a amazing art festival and one of the hit Minnesota festivals and county fair events. Eddie Cochran Weekend Car Show in Albert Lea, MN is a unbelievable art festival and one of the hit Minnesota festivals and county fair events. Rum River Festival in Princeton, MN is a unbelievable culture festival and one of the hit Minnesota festivals and county fair events. Summer Food Fest in Blaine, MN is a great culture festival and one of the hit Minnesota festivals and county fair events. Turtle Fest in Perham, MN is a unbelievable celebration and one of the hit Minnesota festivals and county fair events. Winona Steamboat Days in Winona, MN is a amazing art festival and one of the hit Minnesota festivals and county fair events. White Bear Lake Manitou Days in White Bear Lake, MN is a amazing music festival and one of the hit Minnesota festivals and county fair events. Atwater Festival Days in Atwater, MN is a unforgettable art festival and one of the hit Minnesota festivals and county fair events. Farmington Dew Days Art Fair and Business Expo in Farmington, MN is a amazing art festival and one of the hit Minnesota festivals and county fair events. Forty-Sixth Tater Daze Festival Craft and Gift Show in Brooklyn Park, MN is a unforgettable festival and one of the hit Minnesota festivals and county fair events. Hennepin County Fair in Corcoran, MN is a unforgettable celebration and one of the hit Minnesota festivals and county fair events. Lake Days in Ortonville, MN is a unforgettable celebration and one of the best Minnesota festivals. Manitou Days Beach Dance in White Bear Lake, MN is a amazing fair and one of the hit Minnesota festivals and county fair events. Art in the Park in Lanesboro, MN is a amazing music festival and one of the hit Minnesota festivals and county fair events. Artsplash Art Fair in North Mankato, MN is a great celebration and one of the hit Minnesota festivals and county fair events. Becker Freedom Days Art and Craft Fair in Becker, MN is a unforgettable festival and one of the hit Minnesota festivals and county fair events. Spunktacular Days in Avon, MN is a unforgettable festival and one of the hit Minnesota festivals and county fair events. Twin Cities Juneteenth Celebration in Minneapolis, MN is a unbelievable food festival and one of the hit Minnesota festivals and county fair events. Wild West Show in Richmond, MN is a great festival and one of the hit Minnesota festivals and county fair events. Saint Paul Grand Old Days in Saint Paul, MN is a great celebration and one of the best Minnesota festivals. GAI Deutsche Tage in Saint Paul, MN is a great celebration and one of the best Minnesota festivals. Minnesota Pet Expo in Minneapolis, MN is a amazing music festival and one of the hit Minnesota festivals and county fair events. Northern Spark in Minneapolis, MN is a great food festival and one of the hit Minnesota festivals and county fair events. St. Paul Summer Beer Fest in Saint Paul, MN is a unbelievable fair and one of the hit Minnesota festivals and county fair events. Bubble RUN in Minneapolis, MN is a unbelievable celebration and one of the hit Minnesota festivals and county fair events. Blaine Summer Food Fest in Blaine, MN is a unforgettable fair and one of the hit Minnesota festivals and county fair events. Brooklyn Park Tater Daze Festival in Brooklyn Park, MN is a great music festival and one of the hit Minnesota festivals and county fair events. St. Louis Park Parktacular Celebration in Saint Louis Park, MN is a unforgettable celebration and one of the hit Minnesota festivals and county fair events. Hennepin County Fair in Maple Grove, MN is a great festival and one of the hit Minnesota festivals and county fair events. Stone Arch Bridge Festival in Minneapolis, MN is a amazing celebration and one of the best Minnesota festivals. ASI Midsommar Celebration in Minneapolis, MN is a great festival and one of the hit Minnesota festivals and county fair events. Minnesota Juneteenth Festival in Minneapolis, MN is a unforgettable food festival and one of the hit Minnesota festivals and county fair events. Edina Art Fair in Edina, MN is a amazing festival and one of the hit Minnesota festivals and county fair events. Columbia Heights Jamboree and Carnival in Columbia Heights, MN is a great culture festival and one of the hit Minnesota festivals and county fair events. Brooklyn Center Earle Brown Days Festival in Brooklyn Center, MN is a unbelievable celebration and one of the hit Minnesota festivals and county fair events. Lakes Jam in Brainerd, MN is a amazing culture festival and one of the hit Minnesota festivals and county fair events. No Kid Hungry Taste of the Nation in Minneapolis, MN is a unforgettable celebration and one of the best Minnesota festivals. Twin Cities Jazz Festival in Saint Paul, MN is a amazing festival and one of the hit Minnesota festivals and county fair events. Blaine Festival in Blaine, MN is a unforgettable celebration and one of the hit Minnesota festivals and county fair events. Clay County Scandinavian Hjemkomst and Midwest Viking Festival in Moorhead, MN is a unbelievable celebration and one of the best Minnesota festivals. MSRA Back to the 50’s Weekend in Saint Paul, MN is a amazing celebration and one of the hit Minnesota festivals and county fair events. Moondance Jammin Country Fest in Walker, MN is a great art festival and one of the hit Minnesota festivals and county fair events. Duluth Rhubarb Festival in Duluth, MN is a great art festival and one of the hit Minnesota festivals and county fair events. Eagan Art Festival in Eagan, MN is a unforgettable celebration and one of the best Minnesota festivals. Twin Cities Pride in Minneapolis, MN is a amazing celebration and one of the hit Minnesota festivals and county fair events. Winehaven Raspberries and Wine Festival in Chisago City, MN is a unforgettable culture festival and one of the hit Minnesota festivals and county fair events. MN Food Truck Festival in Minneapolis, MN is a unforgettable music festival and one of the hit Minnesota festivals and county fair events. Eyeo Festival in Minneapolis, MN is a unforgettable festival and one of the hit Minnesota festivals and county fair events. Minneapolis Posters and Pints in Minneapolis, MN is a great music festival and one of the hit Minnesota festivals and county fair events. St. Stephen’s Summerfest in Anoka, MN is a unbelievable food festival and one of the hit Minnesota festivals and county fair events. I Love Burnsville Week in Burnsville, MN is a amazing celebration and one of the hit Minnesota festivals and county fair events. Kick’n Up Kountry in Karlstad, MN is a amazing fair and one of the hit Minnesota festivals and county fair events. Joyful Noise Family Fest in Blaine, MN is a unbelievable food festival and one of the hit Minnesota festivals and county fair events. Minnesota Irish Music Weekend in Saint Paul, MN is a great culture festival and one of the hit Minnesota festivals and county fair events. Winstock Country Music Festival in Winsted, MN is a amazing celebration and one of the hit Minnesota festivals and county fair events. Be sure to check out the Water Carnival festival in Erskine, Minnesota every year in June. 15 Responses to "2018 Minnesota festivals and top 140 events and county fairs"
Thanks Greg, I didn’t notice your comment until today; but I went and added it, I will try to contact organizers of the event also, to get a more complete listing of it. Art At Rice Creek festival in Minnesota is worth checking out! I just want to print jUly events WITH DATES the event is taking place is there a way to do this???? ?